I first shared my list of a few Cyber Monday deals for runners that I found useful three years ago, and got positive feedback from friends and blog readers. So here is an updated tally. Every single merchant has been offering Cyber Monday – nay, Cyber Every-Day-This-Thanksgiving-Weekend deals, so I’m sure you could still find plenty of discounts with just a simple search. Shop the online store of my favorite running skirt company – and get free shipping on top of the sweet discounts. 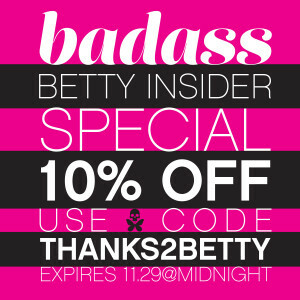 Valid through midnight on November 30, 2015. 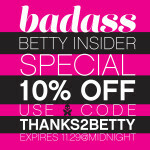 It doesn’t sound like much, but Betty Designs never discounts gear, unless it’s on sale. And yes, the discount code below applies to sale items as well. Get yourself some beautiful cycling, swimming or triathlon gear and save with code THANKS2BETTY. Valid through November 30, 2015. The Garmin Forerunner 220 is $149.99 (you save $100) and the Garmin Forerunner 225 is $199.99 (also $100 off). Unfortunately, the 920XT is not on sale today. What Cyber Monday deals have you grabbed a hold of today? ← Quarry Turkey Half Marathon: Best. Food. Ever. Oh, Race too!